Who wore it better? 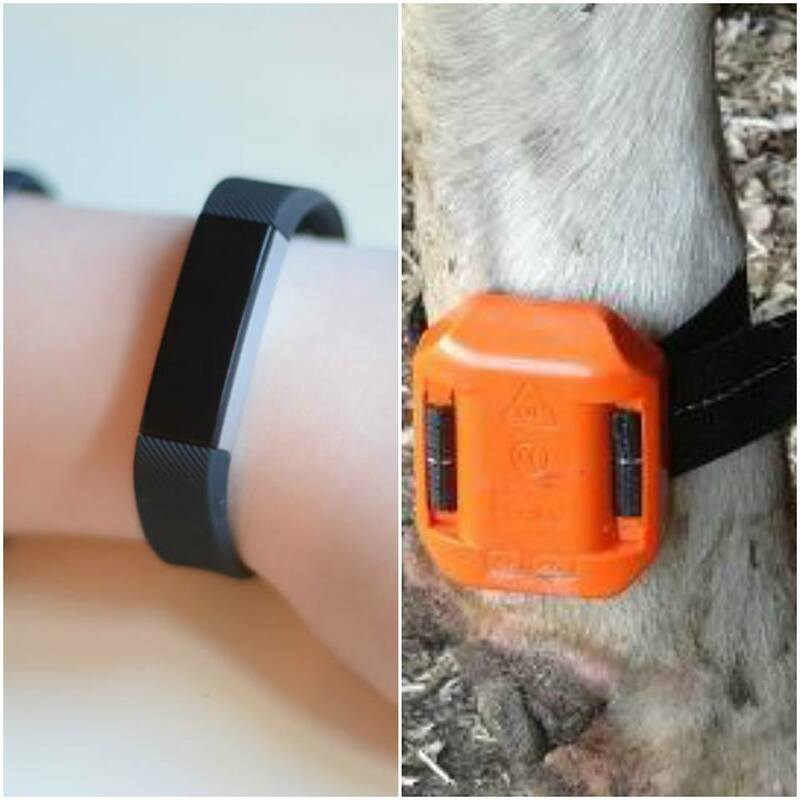 Did you know our cows also wear pedometers? It’s one of the technologies we use to help us monitor the health of our cows. Pedometer technology has been used on our farm for over 10 years. Well before the Fitbit craze. Every cow on our farm wears a pedometer (a cow really isn’t a cow until she is lactating. A heifer is a female cow that hasn’t calved yet and thus is not lactating) and their steps are counted. By tracking this data we can get all kids of information that helps us take better care of our cows. One of the differences between the pedometers that have become popular for people is that these pedometers aren’t motivating the cows to take more steps but rather tracking the number of steps taken a day. 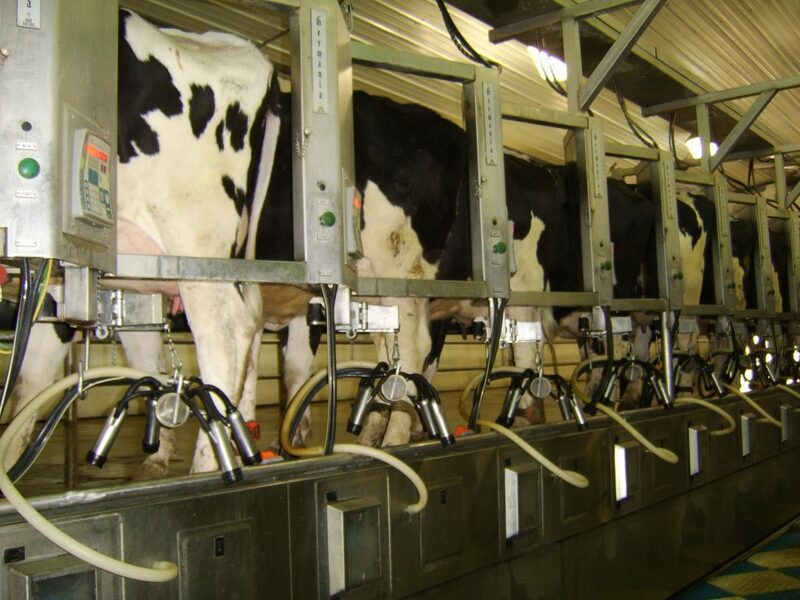 Each cow is assigned an average number of steps per day and any deviation of that may indicate that something is up. The average cow takes about 1200 steps a day. Our headsman gets a print out daily of every cow that has deviated from their average and he can help determine what might be going on. If a cow has taken less steps than average it might mean she isn’t feeling good or she might have hurt her foot, might have stepped on something, etc. If she has taken more steps it might mean that she is in heat and ready to breed. The majority of our breeding is done by artificial insemination. My husband and I often chat about how different farming was for our grandparents and how different it will be for our own children. Technology is helping improve the way we live and the way our cows live. 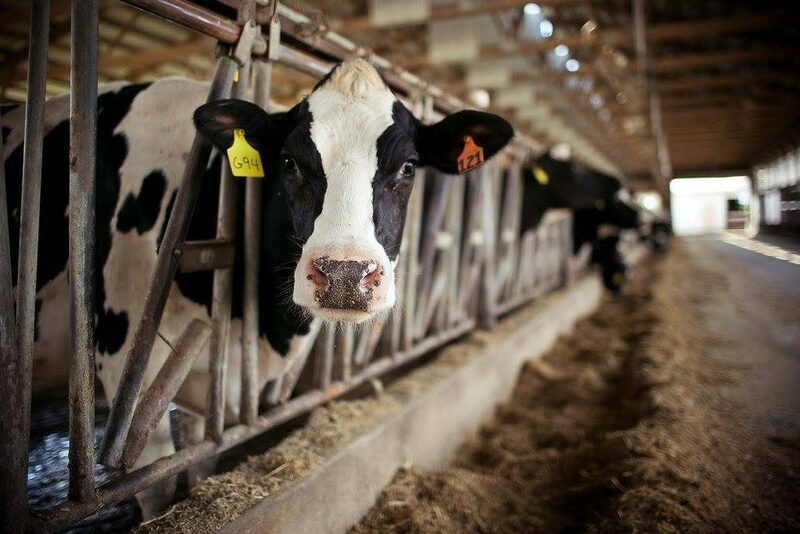 Have questions about how we raise our cows or how milk makes it to the store from the farm? Leave them below or shoot me an email, farmwifecooks@gmail.com. This post was sponsored by the Glass Barn, with funding by the Indiana Soybean Checkoff. All thoughts and opinions are mine, as always. I loved reading about the cows. My father-in-law had a dairy farm in New Jersey when I first got married. Everything now is so automated but know still a lot of work.